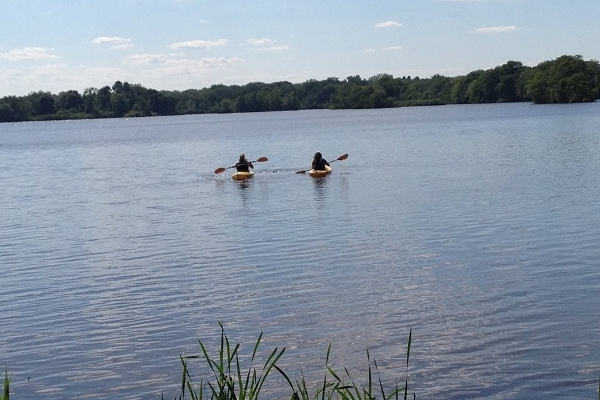 Just 15 minutes from Providence, no beach traffic, an easy, peaceful paddle. East Bay Paddle is a drop-off, delivery service -- unlike renting from a storefront, when you reserve your adventure with us, we will meet you at the water's edge with everything you need. 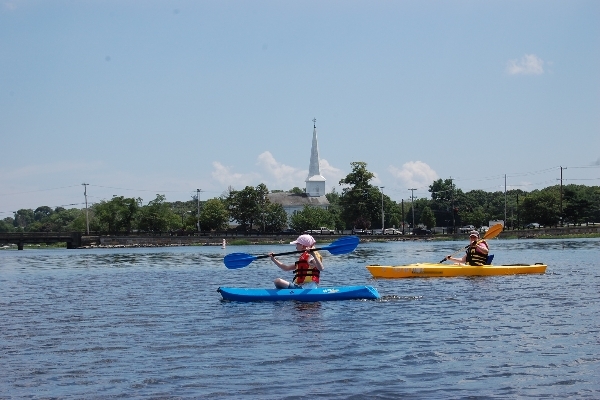 Come explore the tranquil waters of Hundred Acre Cove and Brickyard Pond in Barrington, Rhode Island, perfect for all abilities, beginners welcome. 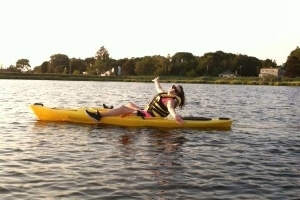 Adult and youth (up to 130 pounds) kayaks available. Recreational kayak, stable boat excellent for beginners and leisure paddlers, rental includes life-vest, paddles and a bottle of water. Weight limit to 275 pounds. All renters sign a waiver. 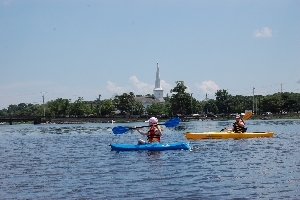 Perfect kayak for children up to 130 pounds, from ages 5 and up, youth paddlers must be accompanied by an adult. Short, sit-on top style won't tip, helps children become confident in paddling skills. 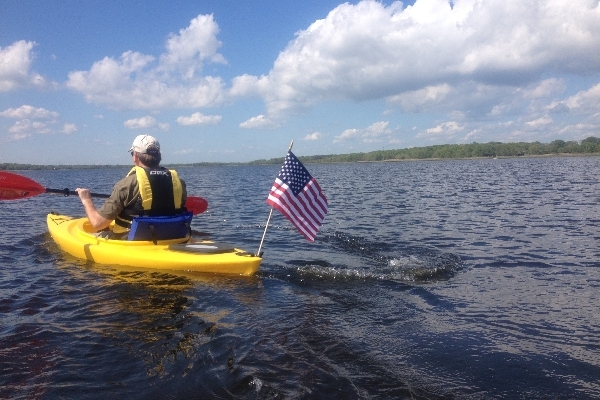 Rent a kayak from East Bay Paddle and we meet you at the water's edge with kayak, life vest, paddles and a bottle of water. All you do is show up and paddle away! 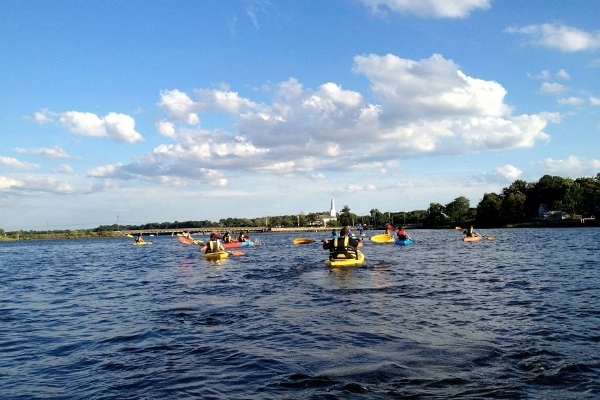 After paddling, enjoy shops and restaurants in Barrington for lunch, ice cream and frozen yogurt. All renters must sign waiver before paddling. Payment accepted at time of rental by cash, credit or debit cards accepted on-site.